“Let’s play Fox and Geese!” My five year old is referring to a new game that we learned from The Playful Pioneers. It’s a version of hide-and-seek and they LOVE it. We pick a home base (usually our couch) and I pretend to be a fox while they are the little geese. I count to twenty as my two girls scamper off giggling to their favorite hiding places. When I’ve finished counting, I make a big scene of sniffing for delicious geese snacks. I can practically hear their little hearts beating with anticipation. If I pass them, they run to base. More often than not, I do catch them. I envelope them in a hug while giggles and laughter ensue. Our hearts are connected. My husband joins in these games, usually in the evening after dinner has been put away. It's a way for the girls to get their last wiggles out before bed, but more importantly a way for them to connect with their father. They play Fox and Geese and more recently “Mad Dog” as Laura and Mary played with Pa (Little House in The Big Woods). My husband gets on hands and knees, acts like a ferocious dog, and chases the girls. Usually somewhere during this time he changes into a dragon, play swords are brought out, and the girls have either defeated or tamed the dragon (depends on the day).By the time they are through hearts are pounding and there are smiles all around. Connections have been deepened and warm, sweet memories have been tucked away in their hearts. Whole movement play has such a unique way of uniting our hearts together as a family. The laughter that echoes and the connections that are made are too important to just let slip past. Right now it’s play that speaks to my daughters' age and ability. So it’s games such as Hide-and-Seek, Mother May I, and The Floor is Lava (the kids LOVE hopping across couches and pillows!). The play possibilities are endless. It just takes some time to brush off the dust settled on our memories of childhood play and jump in there with our kids. It’s tiring, but invigorating and the memories made are worth it. Check out our playful parent guides for a year full of learning fun. Our Tree Guide and Ocean Guide are one month, literature, project, and nature based units for 3-5 year olds. They make a perfect introduction to learning with The Peaceful Press. Discover the beauty of learning through play! My boys, ages 1, 3, and 5 have been eyeing the new books, supplies, and schoolroom with excitement and finally break down my desire to begin in Fall. We start. Running out of the gate, full steam ahead! They love it! I love it. This is great. Day two, day three....and then the new wears off a bit and a hesitation starts in my eldest when I suggest we head to the school room. I watch his exterior change. No more shiny eyes, shoulders hunch, and he wants to keep playing. My heart tunes in to his. Why? Why is my son suddenly choosing to avoid our newfound adventure? I watch his shiny blonde head in the playroom, imagining, singing, and his body twirling and stretching. I had tried to make our homeschool fun, but I had not kept the wonder! That’s it, mamas. Nothing too wild or difficult. The best advice I can offer a mama homeschooling littles (children under 7) is maintain the wide eyed wonder. When you pull out the read aloud, pull out the peg dolls, the silk scarves, the tinker toys, the blocks, the fort making supplies....something, anything, to invite them to jump into the story and live with the characters. Make the food the book describes, do a craft like the main character, visit somewhere like the setting, anything you can to keep their minds alive with wonder about the lives and experiences of those in the stories you read. When they show interest in letters and reading, please don’t buy a full phonics or reading curriculum and expect them to spend 30 minutes a day sitting with you learning to read. Choose something light and natural, with play and whimsy built in. The Peaceful Preschool does this so innately and beautifully. If you do use a phonics curriculum try something brief. I found a wonderful little phonics set called “Dash into Reading” that takes all of 5-8 minutes a day and incorporates horses, pirates, dogs, rats, young children, games, and beautiful watercolor pictures all in its simple lessons. When your child begins to count their toys and recognize numbers as you wander through the grocery store aisles, don’t hurry to find the best math curriculum out there. Instead, encourage them to sort their toys, count beans, the wings on bugs, the legs on a butterfly, have them paint what they see and count too! Let them enjoy the wonder and discovery they are naturally prone to. Don’t be afraid to spend days outside with your littles, mama! Whether you call yourself Charlotte Mason, Classical, Montessori, it doesn’t matter. Get those littles outside. The sunshine, the trees, the bugs, the natural world - it saturates, invigorates, and soothes their little souls. I have a very active and excited little tribe of boys that comes alive and even focused in the woods. Find a small group to spend hours with at a stream or field. Explore, play, investigate, bring lunch, read! You will be rewarded with great naps and lots of smiles all around. If you are still reading, thank you and welcome to the journey with me. Let’s explore a week at Arrow Hill Academy. On Mondays and Tuesdays we begin our day with about 3-5 minutes of reading from a great book (The Ology). Then we sing a hymn together and go over the alphabet/letter sounds and our scripture. We do this at breakfast and the boys have come to expect it. Then we are off! Lunch is packed, swim suits or play clothing is on, and we bustle to the car! Out to the woods for 4-5 hours. We explore and play and read and eat with friends at the same location for 8-12 weeks at a time! It is a wonderful little program I help direct called Free Forest School. When we arrive home, we rest. My boys often sleep 2-3 hours on these days! Later, we may read or do a craft or poetry together. I typically allow my eldest two to choose the rhythm for our afternoons on these days. The rest of the week, we start out with our bible and hymn (morning basket) routine at breakfast and then head to our schoolroom for a read aloud from The Playful Pioneers. My boys love Almanzo and talk about him and play “with” him unprompted throughout our days. While I read, they draw or play with blocks or get out our vintage Playmobil log cabin, Native American figurines, and toy animals. After our reading, we talk about the book, draw together, cook, or enjoy a craft. I have a gentle math and language arts curriculum if and when my eldest wants to do it, and I offer it daily. When he chooses it, we love the game based learning it incorporates and my 3 year old often joins in! We use Dash into Reading for phonics on these days and sometimes play the games it has too. On the days we don’t stay in the woods, we enjoy outside time in the afternoons and my boys collect bugs in the yard, write in the mud with sticks, or kick balls, and watch birds and squirrels. Our academic pursuits in the schoolroom might last an hour, or they might be 30 minutes. Then, we play and cook and enjoy time exploring and having fun! If I can leave you with any great nugget, any strong encouragement, it would be that you watch that little one and keep their wide-eye wonder! If it begins to lack it's luster, watch them, assess, take inventory, and make adjustments. Our littles need us to be the great protectors of their childhood. The ones that guard their inquisitive souls from the dull and the sedentary. So, mother of littles, go and set up a homeschool adventure around that wide eyed wonder, create an atmosphere for it to thrive and roam and indulge because all too soon it will naturally settle and they will leave Never Never Land and alight in our beautiful school rooms with logical minds ready for academia. Read more about math for young children here. Going into this past school year I was really feeling lead to more of a Charlotte Mason approach as I put together our curriculum. I wanted something that would incorporate fine art, scripture, poetry, narration, living books, practical skills, and hand crafts into our days in a way that would allow for short lessons that wouldn't overwhelm our days. I was also looking for a curriculum that all of my children could join in and that would be fairly open and go for my sake. I was elated to find that The Playful Pioneers was all of this and so much more! My children, a mix of girls and boys, range from ages seven through eleven and with The Playful Pioneers there was something for everyone. The younger ones used the print copy work while the older ones used the cursive pages. In addition to the basic daily coursework my older children read from the American and World History recommended independent reading book lists during their daily quiet time. One of the first things that attracted me to Playful Pioneers was the main spines that are studied were from Laura Ingalls Wilder's beloved Little House series. As a family we had read through the series once before and my two oldest had read them over and over again until the poor books showed how well loved they are. What a blessing it was to share my love of the Little House books with my children as I had with my own mother growing up. I knew that we would be incorporating many living books into our days so one of the things that we enjoyed was listening to our Little House read aloud each day on audio book. My older children followed along in the books and my younger children would work on their copy work or illustrations while they listened to the story. My children loved the invitation that The Playful Pioneers presented to dig deeper into the history of Laura's prairie days! From the timeline that plugged in other events in American History alongside of the Ingall's lives and travel, to tracing the Ingall's journey across the United States, to the fantastic living books that brought the time period to life, this curriculum quickly won over our hearts and minds. For the timeline I printed one set for each child, hole punched one corner, and held them together with a ring. We don't have a lot of space in our home to display the timeline so this was a compact way for them to each have their own. We enjoyed many handicrafts and recipes along with practical skills which are so important for children to learn for useful lifelong skills. We enjoyed dyeing handkerchiefs with natural dyes, rolled beeswax candles, made butter, lemonade, ricotta cheese and so much more. We even learned many homemaking skills that were not only relevant in Laura's day but for us today as well. We have come through this year with so much more then any other year thus far and we have done it through short lessons full of beautiful memories in so many areas of learning. What a blessing The Playful Pioneers has been for our family! Late last summer, just before we were set to start back to schooling our little Miss 6 and Miss 4... I stumbled upon The Peaceful Press. When I researched The Playful Pioneers curriculum and saw that it was based on The Little House series by Laura Ingalls Wilder, it spoke to me right away. I grew up reading this series over and over again and wanted my girls to experience that life changing adventure for themselves. I loved the appeal of one curriculum for both girls and that our whole family could be included in the activities! Our expectations were far exceeded as we have now completed our year with The Playful Pioneers. Our way of life has changed, a peace has fallen over us...our "school work" has blended so seamlessly with the rest of our day that we don't feel the rush to "get school done" like we used to. An education happens continually, in every facet of your day...you are always teaching your child even if it is just by your actions or by allowing them the freedom to play or dream. and so much more, all with your best friend(s) by your side. We loved the freedom this curriculum offered us... we could delve a little deeper into subjects that sparked an interest and we could leave out any activities that didn't fit with our family at that time. Everything was prepared for us, the materials needed were simple to find and the books were easy to access. As expected, the girls fell in love with Laura Ingalls and her free-spirit, yet kind heart. What I didn't expect was the amount of emotion they would feel with each passing chapter. We discussed topics that I am sure we wouldn't have otherwise...not for years to come at least. They felt the pain and hardship that continually afflicted the Ingalls family. Yet they noted their positive attitudes and how they always made time for music, laughter and stories together. I now see these stories and lessons resurface in their play and the way they interact with each other, it has forever changed their hearts. I also, as a mother, deeply connected with Laura's dear parents. I loved the way Pa took the time to stop and explore nature with his daughters, to patiently teach them how and why things needed to be done and most importantly, true acceptance of others. I also loved the way Ma, although stern at times, taught her daughters to look out for and care for one another, how to be happy with little and the importance of an education. Somehow we lived and learned more simply this year yet our "harvest" from our studies was so rich, full and completely irreplaceable. I can't thank "The Peaceful Press" enough for this gift! Ready to transform your learning experience? Click here to order your copy of The Playful Pioneers. We started the Peaceful Preschool when my daughter was three. She was simply ready for structure and a course that appealed to our gentle parenting style already in place. The Peaceful Press was my first introduction to some kind of homeschooling system, environment, and schedule. It profoundly set the tone for us and more than that, it gave me the confidence in knowing and feeling that I could actually do this! I remember the opening letter and the great comfort it was to me, along with the resources, the guides and planning sheets, even the menu ideas were all so helpful! It all felt as if I had this wise, soft-spoken friend gently guiding me through this incredibly overwhelming endeavor as I was first starting out! The following year, we started with the Playful Pioneers as a pre-K guide and “enrichment course” as I call it. We fell in love with the book suggestions, the gentle guide into US history and so forth. We worked at our own pace and gleaned from every step along the way. I particularly love how intentional about beauty it all is and how everything comes together so well, from the literature to the poems and themes. Now my daughter is five, and my son is three and we’ll be using the Playful Pioneers again this fall and more heavily as they’re older now. The amount of confidence I have in this journey still amazes me! 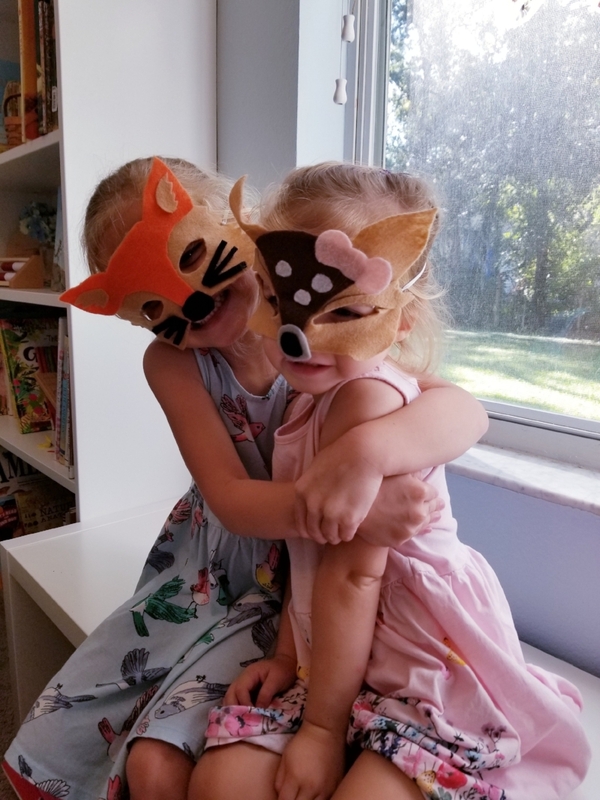 Our home and schoolroom is filled with living books, organized Montessori manipulatives, a nature shelf, and so much more! The Peaceful Press has absolutely given us the foundation and building blocks to help us reach our homeschooling goals at this point. Our school rhythm is simply one we look forward to every single day, and when I will inevitably hit those road bumps, I know I have the support and help through this beautiful community. This is what a typical school day looks like for us. We gather around our school table after self care and breakfast. Our Morning Time shelf/basket is prepared well in advance and ready to go. We always start with Scripture, a hymn, and prayer. We then do some memory work and discussion. If we have a nature study on the table (currently caterpillars) then we’ll observe and talk a bit about that. Next is a picture study, then a read aloud from the lovely Little House series or a few letter themed books. While I read, they are working on an activity of some sort; a handwriting/student sheet for my daughter, or their US map puzzles, lacing, wooden beads, etc. After I finish a chapter, we all go and get dressed for the day! Morning time is a luxurious one to two hours for us. If the weather is nice, we usually grab a snack and head outside and romp around for a half hour or so. We then gather again for an AAR phonics lesson for my daughter and the daily preschool activity for my son. After lunch, we usually curl up together on the couch with a book. Once the baby (10 months) takes her afternoon nap, we then work on a little project, puzzle, or painting/drawing together, sometimes it’s a felt interactive or a recipe, and once a week it’s poetry teatime! Once the baby wakes up, it’s sometimes a nature walk or free play outdoors! Then we call it a day. One thing that is important for us in raising our children at this stage is not only limiting screen time completely (except for the occasional family movie night) but also establishing a strong family bond and a nurturing home environment that stimulates imagination and provides ample opportunities to learn together. I know planting these kinds of seeds will reap a beautiful harvest later on in our family life together. The Peaceful Press has been the ideal resource to help guide our family and homeschool in the directions our hearts have always envisioned. As the end of the school year approaches, we often get burned out and I find that it is the perfect time to change things up and create a unit study for us all to enjoy, explore, and learn together. Often, we explore something that has been the topic of recent conversation, but with Arbor Day and Earth Day both falling in April I thought it would be the perfect time for a month long unit study on trees. Whenever we plan a unit study, I usually start by breaking it down into a few basic categories (or weeks) of learning. For a study of trees, I broke it into these categories, these will be broken down into daily lessons. Beginning- The study of the beginning of plants and trees. Identifying- Becoming aware and informed on the different parts, types, and purposes of trees. Habitats- Learning about the habitat of a tree, as well as a forest ecosystem. We meet together in the mornings, around the table, for family studies. We sip tea, we talk, we ask questions, and we learn together. The baby eats way too much in his high chair as we linger over books and journals, and the preschooler is often kept busy with activities just for her when she is growing tired of sitting and listening. 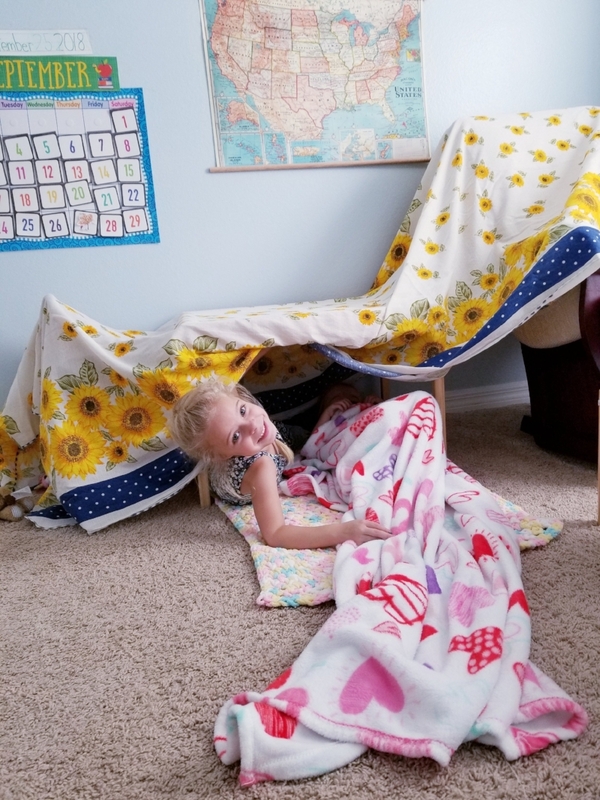 In this case we pulled out The Peaceful Preschool letter activities that could work well with our theme so she was making similar connections, but in ways that could keep her hands busy and more importantly, keep her included. We started our tree unit at the beginning, understanding the importance of the tiniest seeds to the deepest roots. When you begin at the beginning it brings a fuller, easier understanding of why and how. I always want to make sure that we have as many questions answered as possible. We talked about nurture, as well as nature, and how they both play a role in the growth of a plant, as well as in the growth of us. We talked about how we can play a role in the growth of plants and trees, as well as in the growth of those around us. We planted seeds, observed seeds from different trees, and we journaled the seed cycle. Next, we began to identify the tree as a whole, as well as each individual part of the tree, the roots, the trunk, the bark, the leaves. And in doing that we discovered how unique and different each tree is, and how they tell stories of their pasts in their growth. It reminded us how we are all left with marks, scars, and evidence of what God has done in our lives, too. And how special and important that is. Breaking it all down, comparing and contrasting, and spending time poring over living books and field guides, will help us when we are exploring outside, whether a hike in the mountains and forest, or just in the backyard, to make connections with confidence. It will create a more excited and thoughtful explorer, a more eager learner, which is my ultimate goal for a unit study. I am always looking at how the unit study can impact us for future learning. A study of habitat was important to add mindfulness that we are not the only ones that enjoy trees and forests. I pulled out our favorite living books that gave us a fuller picture of life within a log, a tree, and the forest. Creating food chains, playing games, building dioramas, and pulling out our nature journals to make notes of tracks and evidence of life to look for when we head out to explore, all add to our unit study. As we head into Arbor Day and Earth Day, we plan to complete our journey with packing up special arbor themed nature packs and heading out into our backyard, a forest hike, and a local park, to see if we can put together all we learned and test our knowledge. I think the best tests have more to do with seeing it play out as you experience it, and not what you can answer on paper. Lastly, we plan to adopt a tree to visit and observe over the course of a year, season after season. And as we adventure and grow over this year, so will the tree. You can add more literature and project based learning to your school year with our easy to use parent guides. Each week contains lesson plans, book suggestions, poetry and more, to make learning a joyful experience with your child. This post contains affiliate links. Thanks for your support of our site. This school year has been full of delight for our family. Having done the hard work of gathering resources for The Playful Pioneers ahead of time made each week so simple and fun and full of learning. This was my third or fourth time reading through The Little House on the Prairie series, but because I had the projects all planned out ahead of time, it felt like a first time, and yet, the beautiful attitudes that Ma and Pa displayed through adversity, spoke to me as much now as they did when I first read the books aloud so many years ago. Another aspect of The Playful Pioneers that was helpful for me this year was the integrated poetry and artwork. 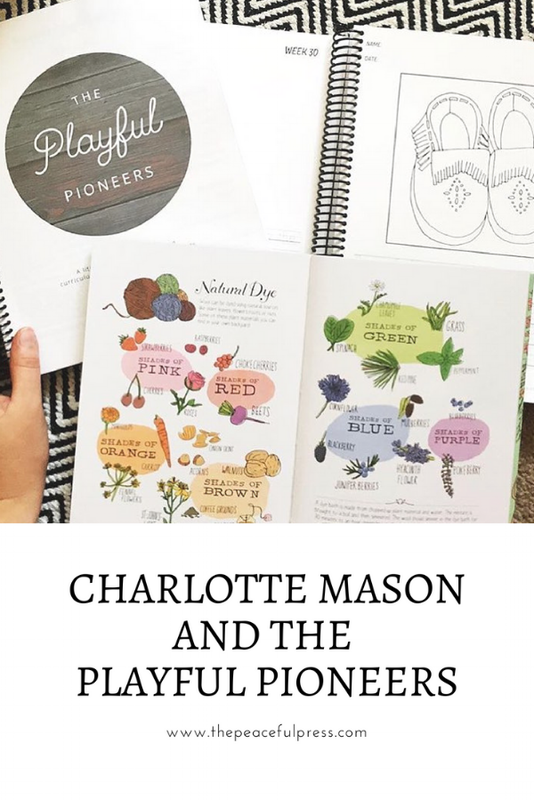 I love learning with Charlotte Mason principles, but in past years, it had seemed haphazard to pull poetry and art into whatever time period we were studying. I was very deliberate about the pieces I selected for the year, and was delighted again as we read through such beautiful pieces as "A Cherokee Traveler's Greeting", "Hope is a Thing With Feathers", and "Picture Books in Winter". The art and poetry made so much more sense when it was connected to what we were reading in our chapters for the week. While I wrote the curriculum with 5-8 year old students in mind, my children, who turned 9 and 11 in December 2018, were challenged and engaged with the lessons. I added All About Reading and Spell to Write and Read for my 9 year old, along with an Analytical Grammar workbook and I.E.W. U.S. History Based Writing Lessons curriculum for my 11 year old. I also added math resources such as Teaching Textbooks, Right Start Math, and Smarttick for both of them. We even added a few extra read alouds from the included independent reading list. I had read some of the Little House on the Prairie series aloud last spring as I was writing the curriculum so this year while we were doing our copy work, we listened to some of the stories on Audible. This bought me some extra read aloud time which I used to read several other titles. My daughter and son added several more of their own independent reading books. We also engaged in lots of hands on learning this school year, following prompts in the curriculum to sew moccasins, grow a garden, bake bread, shake butter, sew a doll, build a tipi, and generally have fun while learning valuable engineering and comprehension skills. Hands on learning isn't just about having more fun; it's a valuable way to teach children to actually do something with all they are learning. We are closing in on the end of the school year, and at the same time gearing up for our upcoming school year with The Precious People, but our study of American History has been a delightful one, and has shaped our understanding and compassion for the people who shaped our nation, and given us excitement about how we can be pioneers in our own time. Purchase your copy of The Playful PIoneers today! "We have used the Playful Pioneers this year as the foundation of our curriculum for my three 2nd graders. Each of my children is at very different levels. This beautiful curriculum has worked for all of them. We have enjoyed the read-aloud time, the gentle narration prompts, all the history and science activities, and most especially the enrichment crafts, recipes and art. On days when we have more time, we have had opportunities to explore, and on days with less time, we have been free to do a minimum, and still feel like the day wasn't wasted. My children and I have really enjoyed the journey with Laura and her family! This has been our best homeschool year yet! Thank you, Peaceful Press for your vision, and heart for us, homeschool mamas and kiddos!" This post contains affiliate links. You can read my full disclosure policy here. Thanks for clicking through and supporting this space." While The Playful Pioneers curriculum provides an overview of some favorite U.S. presidents, we love to strew more books and activities about the presidents in the hope that our children will continue to study on their own. Although the independent reading list that is included in The Playful Pioneers contains an extensive list of favorite books about U.S. presidents, we wanted to highlight a few of our favorites to make a celebration of their birthdays extra special. We also love doing projects that relate to the presidents. Cooking and baking always make holidays come to life, and we especially love this recipe, adapted from the Tasha Tudor Cookbook. There are so many fun projects from The Playful Pioneers curriculum that could be revisited for a celebration of President's Day, and our children will remember what they've learned much longer when it is followed with active play. 2. Plant a cherry tree or other fruit tree. 3. Pretend to be a surveyor and make a map of your own lot. 4. Play charades, using the president descriptions from The Buck Stops Here for prompts. 5. Paint a cherry tree and use your pinkie finger to finger stamp cherries on it. 6 Follow this watercolor tutorial to paint a cherry tree. We hope your celebrations are full of joy. These special days in February can help bring fun into a winter season that often feels long. To bring even more joy into your homeschool, check out The Peaceful Preschool and The Playful Pioneers. These weekly guides are full of ideas for making connections with your children over beautiful literature. This post has affiliate links. Thanks for supporting our site by clicking through.